The preferred car of millionaires is a Ford. 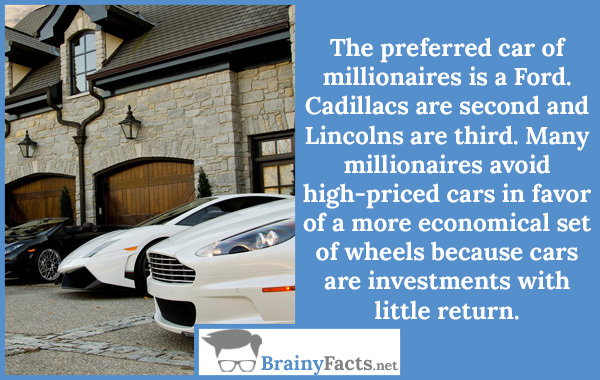 Cadillacs are second and Lincolns are third. Many millionaires avoid high-priced cars in favor of a more economical set of wheels because cars are investments with little return.